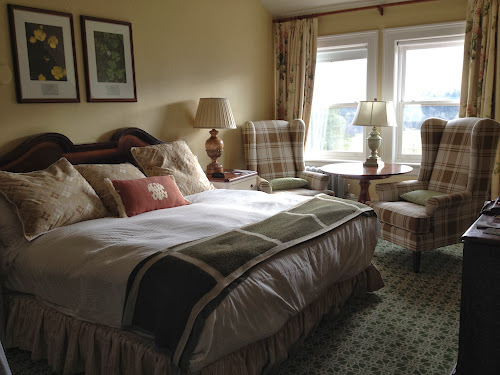 Here's a quick shot of our room. We were upgraded from a queen with a parlor to a 2 bedroom suite. 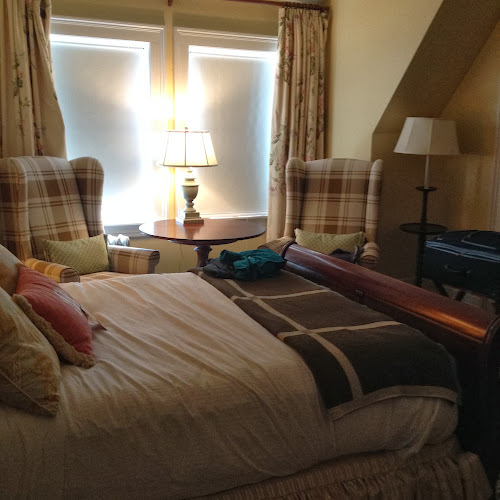 We didn't need the second room but the king size bed pulled us in. 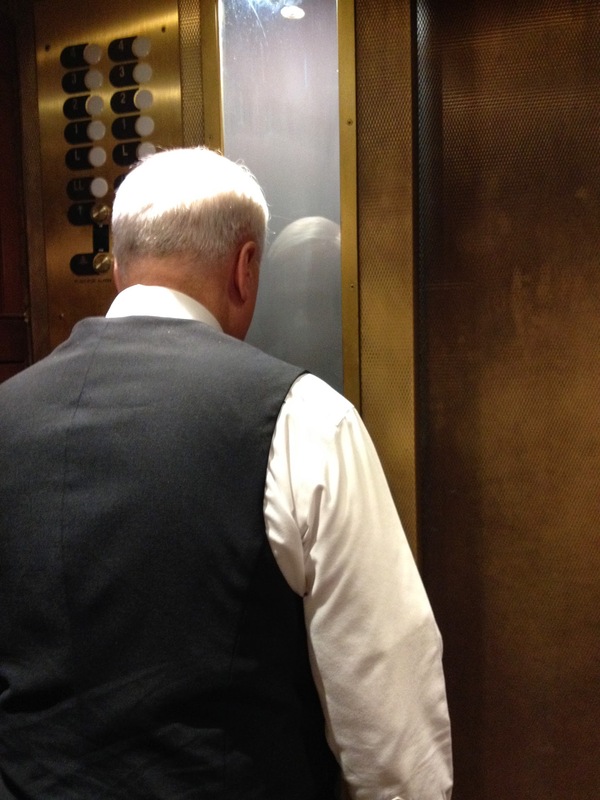 Also, here's a shot of an elevator guy. He is facing a glass window that looks into the elevator shaft where he can see the floor numbers written on each level we pass.